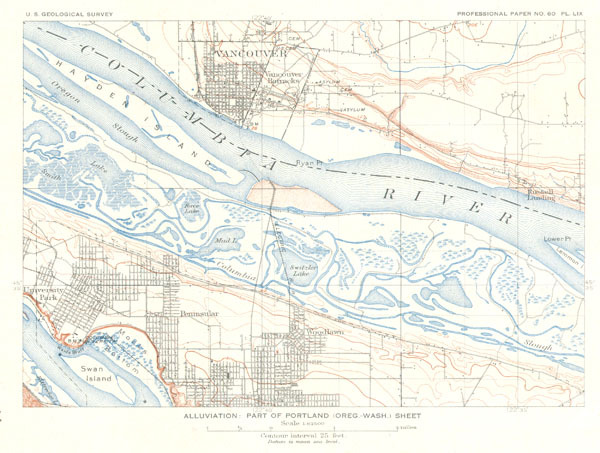 This beautiful and fascinating map Vancouver, Washington and Portland, Oregon was issued for the 1909 U.S. Coast & Geodetic Survey, under the supervision of Henry Gannett. The map is centered on the Columbia River, which forms the border between the two states. This is a 1909 reissue of the original 1887 survey. Also shown are topographic features, roads, and railroad lines.